When you want to go higher in the mountains, less weight means more altitude. The MTN Lab is exceptionally light so you can take it on every expedition, and it meets the safety norms for both Alpine and Mountaineering. 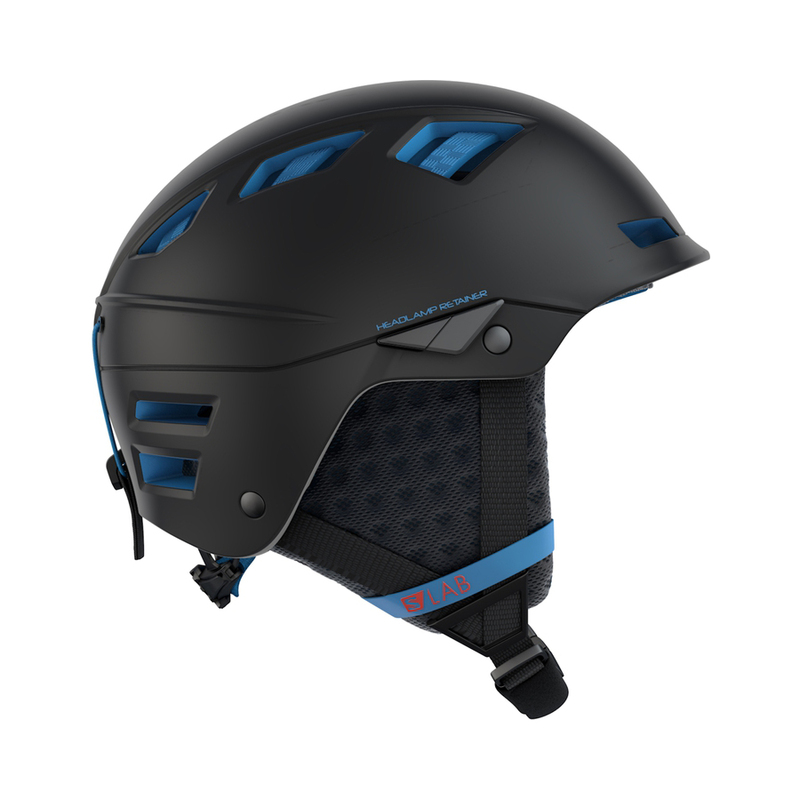 Innovative EPS 4D technology, and lightweight parts throughout enable you to bring one helmet for every adventure. With Merino wool and technical fabrics, the AdvancedSkin ActiveDry removable liner provides thermal regulation for your head during climbing sessions, skinning up, and charging down. Comes with an additional summer liner for when the weather heats up. Inorporates Salomon's TCS (Thermo Control System) and Airflow ventilation, channels designed inside the shell to provide even air movement all over your head. Custom Dial fit system gives personalised comfort for any head shape.